Affenpinscher: It is a purebred dog and has terrier-like personality. Distinct from most terriers, they can easily mingle with other dogs and pets, particularly when they are raised with them. They are bold, curious and obstinate. Brussels Griffon: They are lively, charming and affectionate pets. 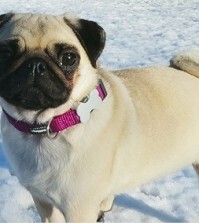 It is an alert watchdog that may become friendly even with guests or shy with new people and new occasions. Cavalier King Charles Spaniel: These are friendly, obedient and sensible dogs. They have long and silky coat. Chihuahua: They are tiny, soft, cuddly, and overall adorable. They are intelligent, responsive and loyal. These puppies are scared of many things. They always like to burrow and get under the cloths or blanket. Chinese Crested Dog: These are hairless dog breeds, but can be available both with and without fur. These dogs are very affectionate and active for most of the time in a day. Havanese: These intelligent, friendly and obedient dogs are considered native to Cuba. The dog’s coat is lightweight and protects it from heat. These are playful and alert. Italian Greyhound: These puppies are calm, sweet-natured, also very sporty and playful. These puppies can easily become part of your family and they are excellent watchdogs. These dogs need very little grooming. Japanese Chin: It is the dog of Japanese royalty and is small, well-balanced, aristocratic, lively toy dog has distinctive oriental expression. They are sociable, good watchdogs and easy to train. Keeshond: These are German originated dogs that tend to be very playful, with quick reflexes and strong jumping ability. They need moderate grooming and act as good watchdogs. English Toy Spaniel: These are gentle and affectionate dogs. 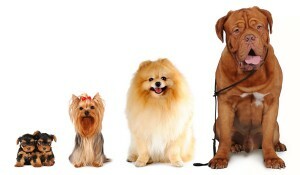 They have long, silky and straight coat that need moderate grooming. They are quieter and more reclusive. They can be loving toward kids, but they can become overwhelmed by the noise and stimulation that young children make. 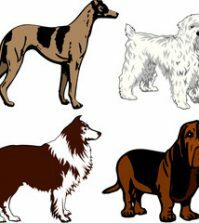 Lowchen: These are active and friendly dog breeds that need regular grooming. These easy to train dog breeds act as good watchdogs. Maltese: They are always alert and intelligent. These easy to train dog breeds act as good watchdogs. These active dog breeds need regular grooming. Miniature Pinscher: These alert and active dogs act as good watchdogs. They need very little grooming and are moderately difficult to train. Continental Toy Spaniel: These small dog breeds are alert and intelligent and act as good watchdogs. They need regular grooming and are extremely easy to train. Pekingese Dog Breed: These dogs are active and independent also acts as good watchdogs. They require frequent grooming and are difficult to train. Pomeranian: These dogs have plucky and protective temperament. 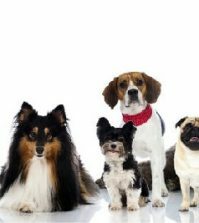 They are unsociable dog breeds, which are difficult to train. Toy Fox Terrier: These dogs are alert and easy to train dog breeds. They need occasional grooming.